And whoops! You are gone!!! 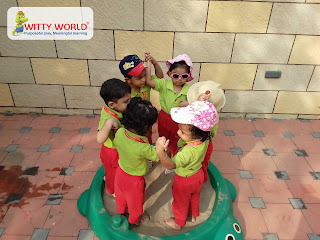 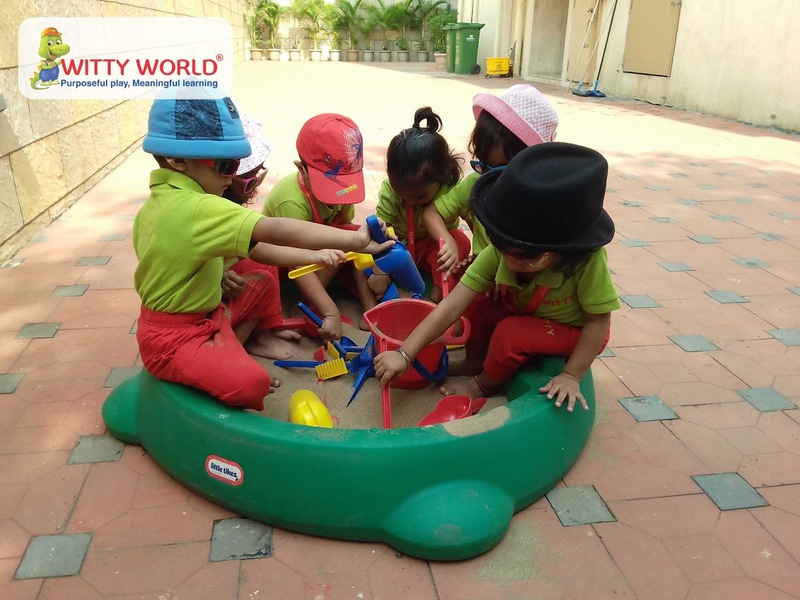 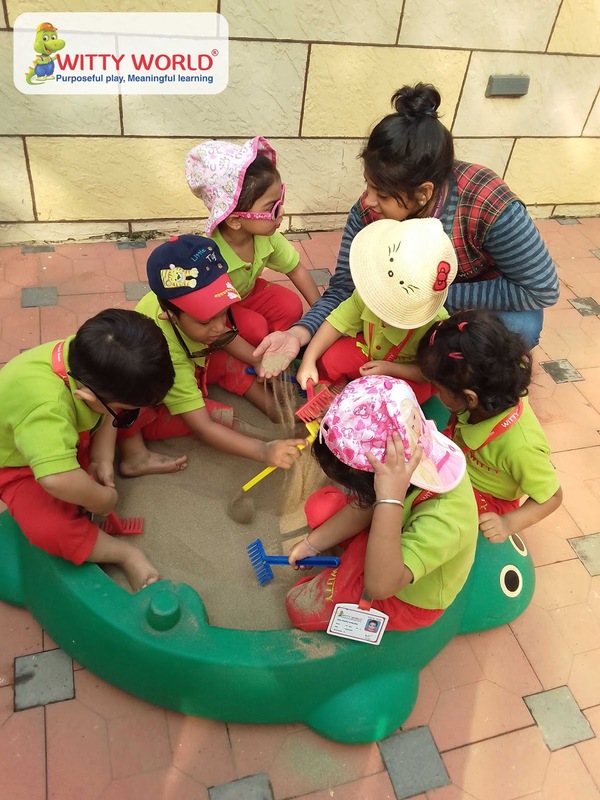 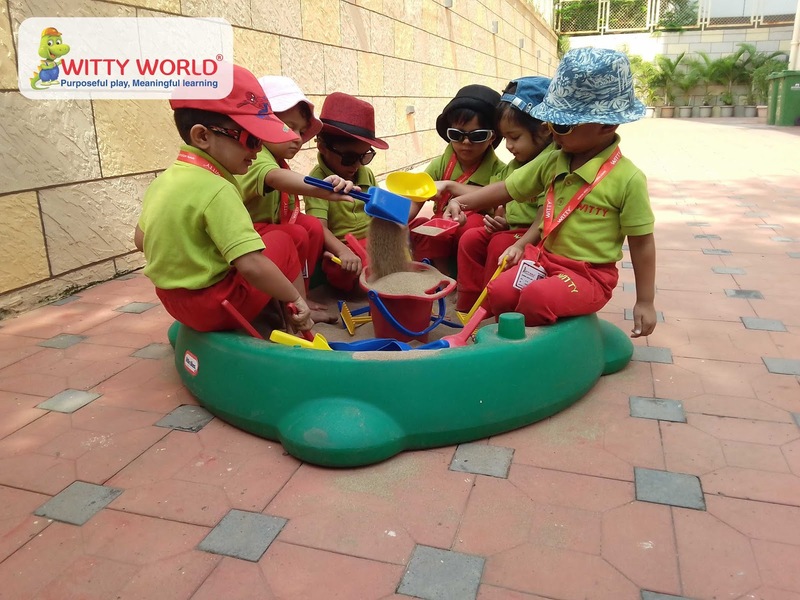 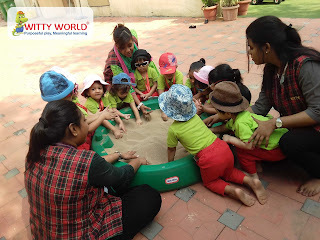 On Monday, 26th November 2018, Playgroup section children went in the sand pit wearing sunglasses and cap to feel the experience of beach. 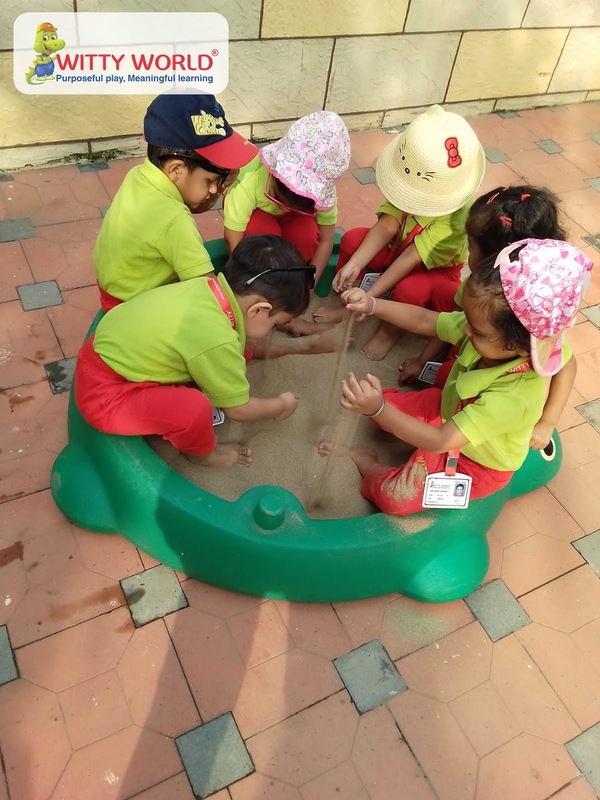 Children were very excited to make sand castle with the help of bucket under the bright sunshine. 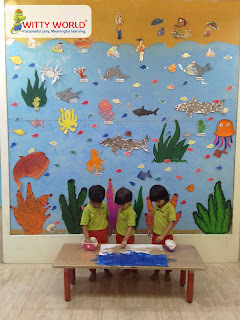 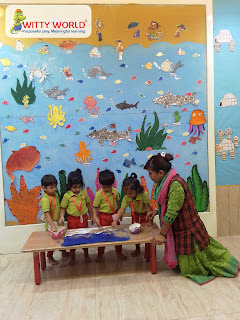 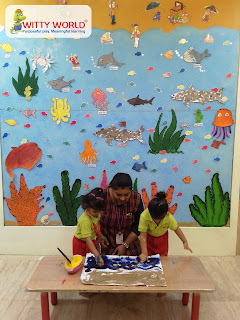 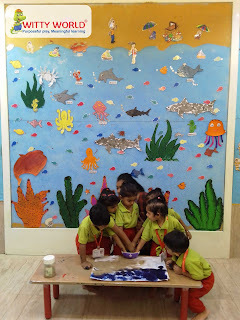 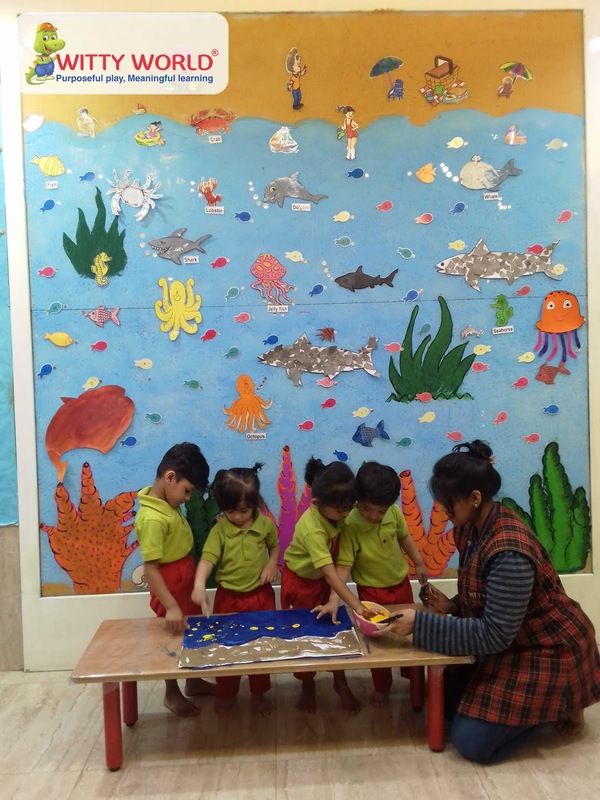 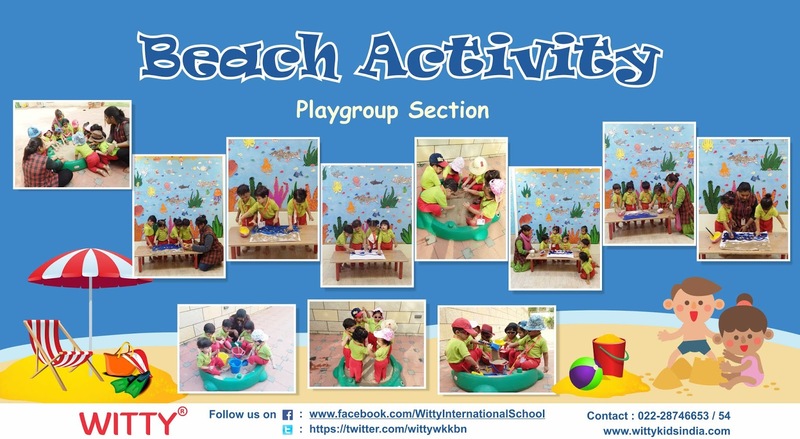 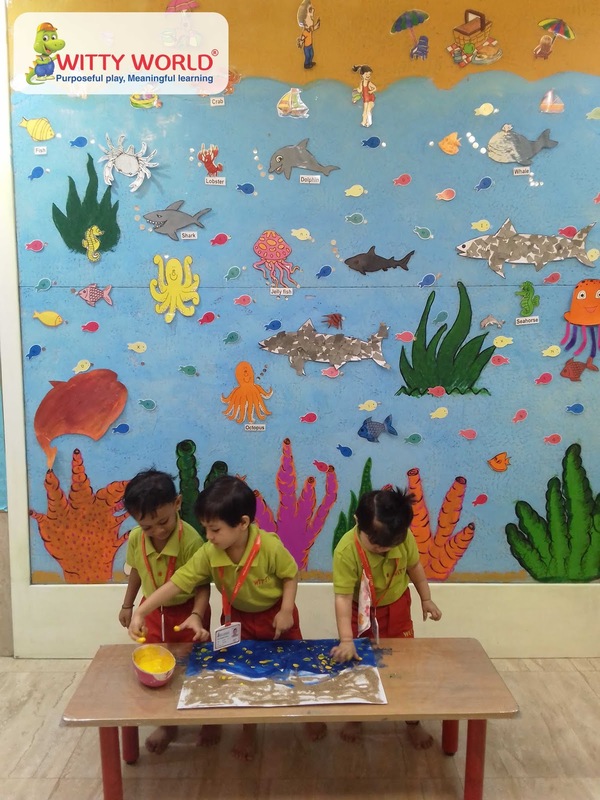 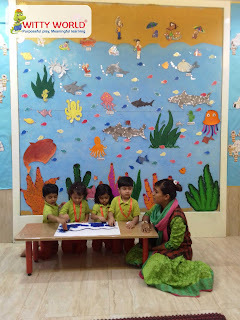 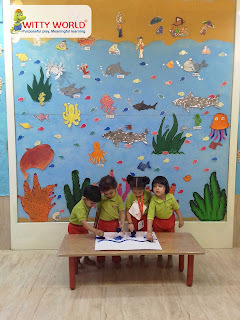 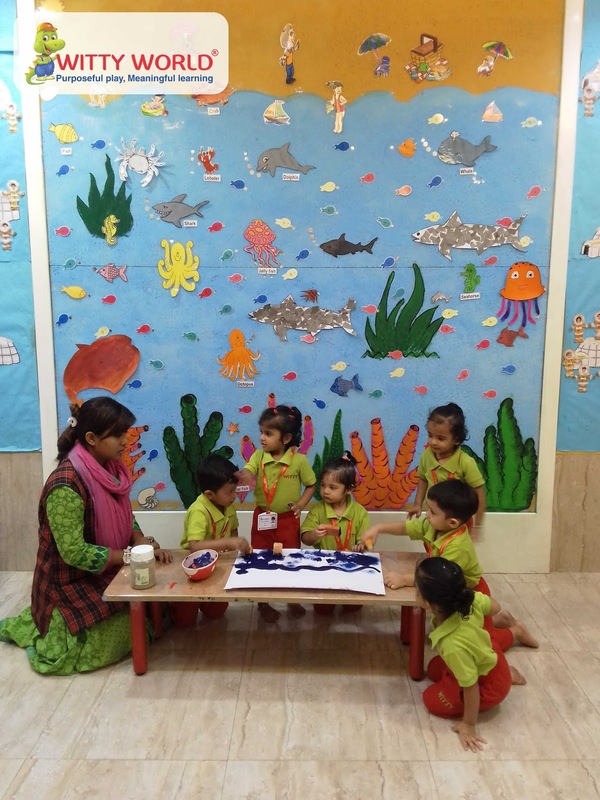 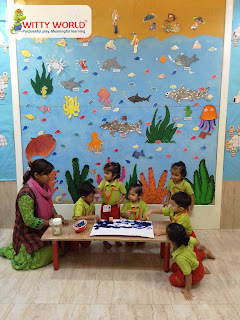 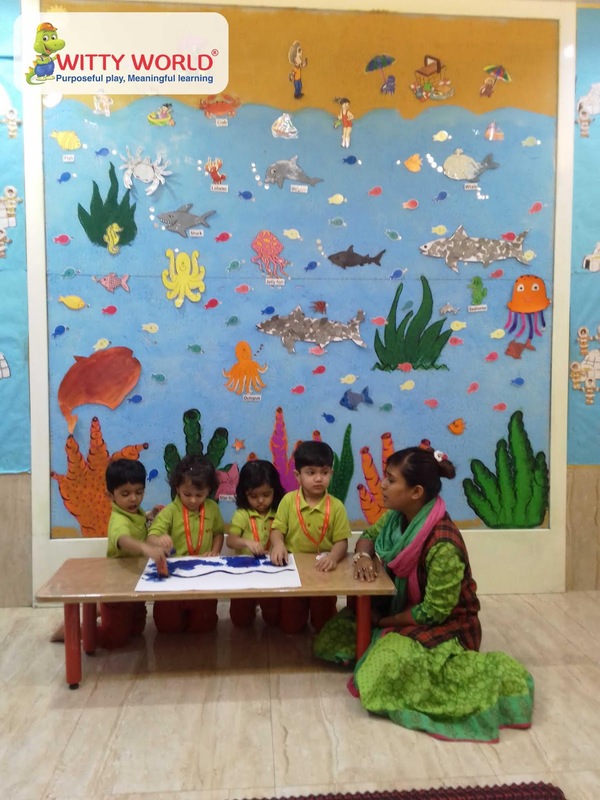 And also they did a group activity by sprinkling sand on white chart paper, blue sponge dabbing to make water and made yellow fishes with the help of thumb. 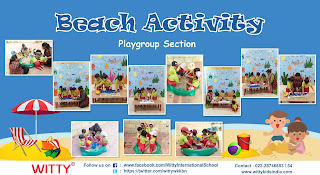 The beach is always a popular destination for young children that throw an excitement and freedom associated with playing on the beach.